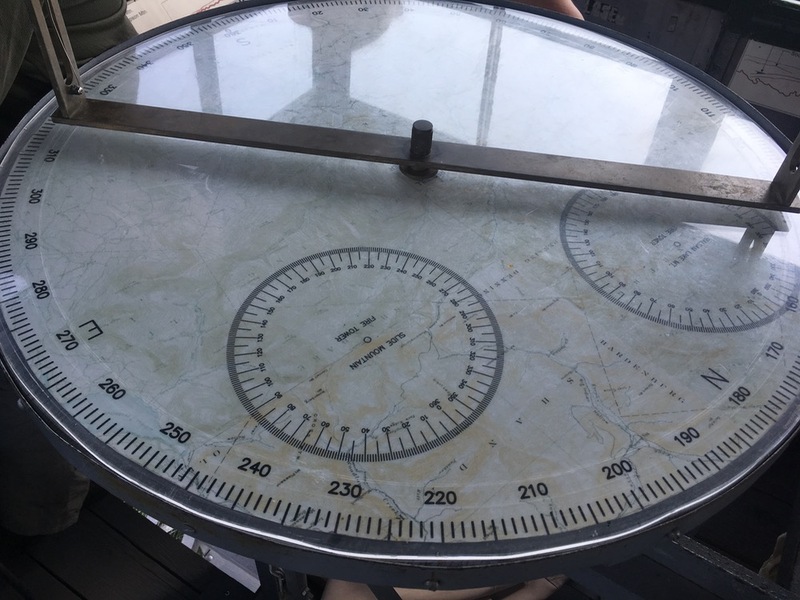 Now it’s maintained for public use, the observation station is kept locked except on weekends when volunteers are there to open it up and share some of the area’s history with visitors. I made plans to return with my kids and logged on to get a free Blue Hole permit so we could go swimming afterwards. As often happens when I plan ahead, life intervened. My mom needed a ramp from the kitchen to the back deck. Amazon offerings looked huge; they would take up half the floor space in the screen room. Could I build something that would fit the room better? Of course I could. I did a little research, bought some wood, sketched a ramp on some graph paper and gave up on our hiking plans. I threw my supplies, some tools and Junior into the truck and headed upstate. The ramp build turned out be easy and straightforward and we were finished by lunch time. As I ate, in the back of my mind, I was estimating travel time. Though there wasn’t time to do it all, but maybe we could salvage a short hike on the way home. When we got back on the road, I had Junior start punching destinations into his phone to figure out if we had time. 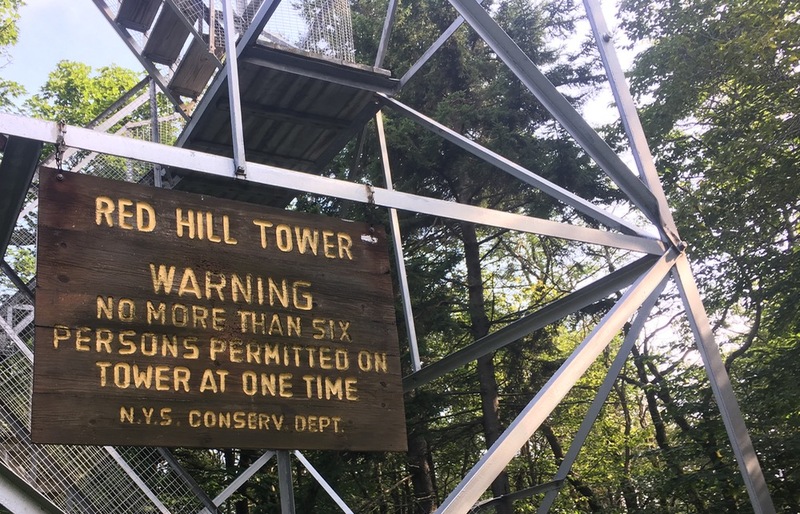 We reverted to our plan to do the Red Hill Fire Tower Trail. It’s a short hike and if we didn’t get stuck in Thruway traffic or run into some other delay, we’d have time to squeeze it in. 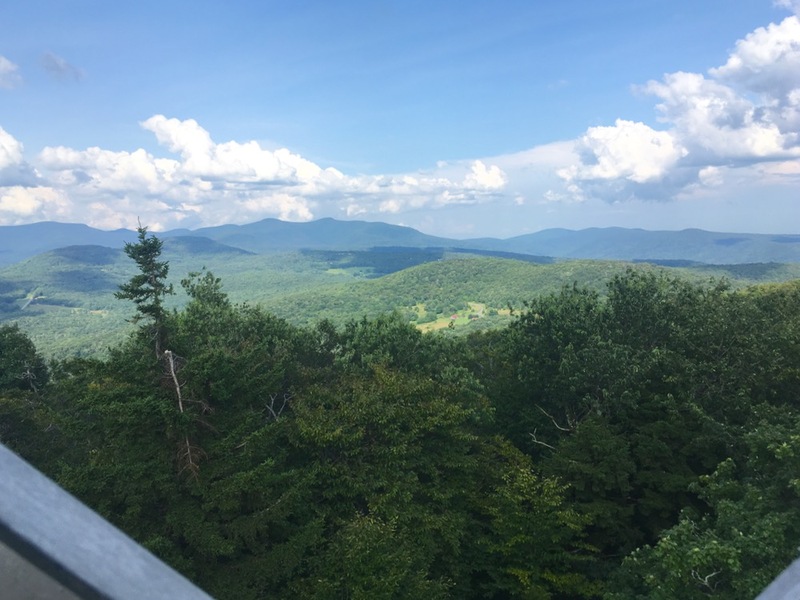 The directions took us right down Peekamoose Road where I was gratified to see about a half dozen Forest Rangers keeping an eye on the Blue Hole, checking that people had permits and parking in legal spaces. We were at the Red Hill trailhead by three o’clock. I admit we I weren’t super prepared. Neither of us were wearing hiking boots but sneakers would be fine. I had the lumbar pack that I usually use as a kayak deck bag in the car. It had the basics, including bug spray, and I stuck a couple water bottles in and we hit the trail. It was a fun hike, twisting uphill through the woods. Junior impressed me again with how much he’s progressed in the last year. Without his little brother to slow us down he raced right up the trail, absolutely smoked me. It was awesome. 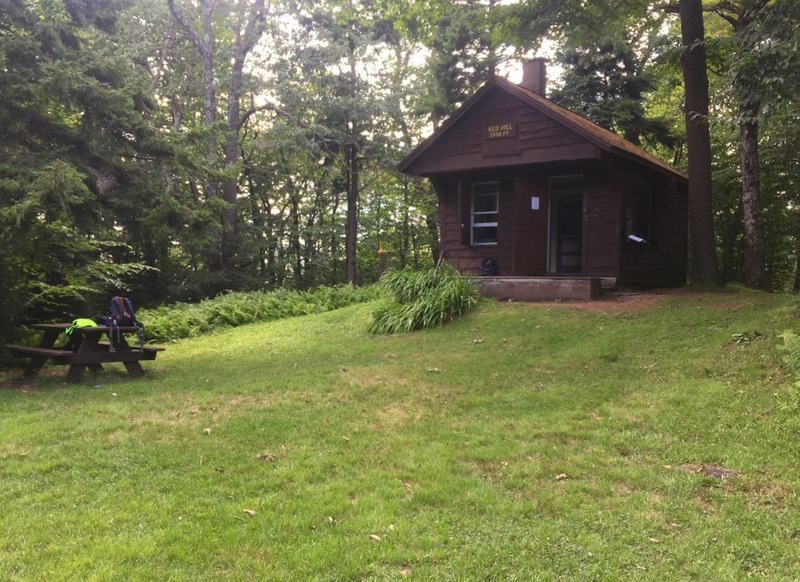 At the top of the hill we found a caretakers’ cabin, an outhouse, some picnic tables and the fire tower itself in a big grassy clearing — pretty civilized really. There was a couple with a small child and a dog ahead of us, in the process of getting the volunteer on duty to unlock the tower so we sat down on at a picnic table and rehydrated. After ten minutes or so we joined them on the tower. The view was, of course, spectacular. 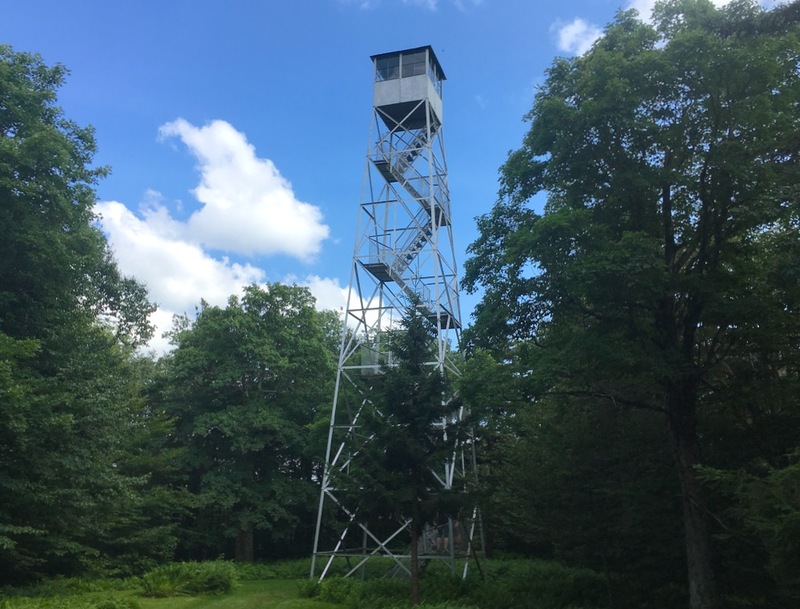 The volunteer lent junior his binoculars and pointed out where he could find other fire towers with them on distant peaks. It was pretty cool. 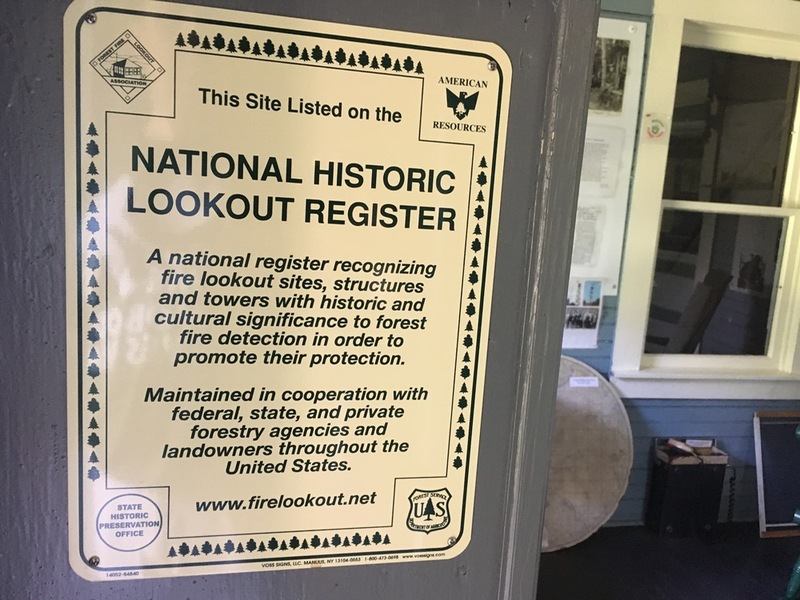 Back at the bottom of the tower, we paused to check out the mini-museum in the caretakers’ cabin and then headed back down the trail. As expected made better time on our downhill return trip. Before we knew it we were back in the car on our way to the swimming hole. It was after six by the time we got there so it wasn’t crowded. There were a few folks still around as we took turns jumping into the ice cold water but not many. I was gratified to see that the whole area around the Blue Hole is in much better shape then the last time we’d been there. We brought some bags to fill with trash on our way out but there was almost none to pick up. It was a great end to the day. Never did that one, looks peaceful. Good for you guys to get the most out of the summer, the days are getting shorter and these 3pm hikes are going to be a memory soon. Thanks for sharing.